Last Friday, July 26th, was an interesting day. Historically, it was the 23rd anniversary of the day that President George H. W. Bush signed the Americans with Disabilities Act into law. A lot of people don't realize how important the ADA truly is. I didn't...until I needed to understand how it protects my rights. As an Operations Manager in the hotel industry, all I knew about it was that it set guidelines for things like how far a toilet needs to be from a wall, how many accessible parking spaces and guest rooms are required by law, and how much space we needed to have between tables in the restaurant. From an employment standpoint, I considered every candidate that the Human Resources department sent my way, and made my decisions based on their ability to do the job, but my entire career began after the ADA became law. I never thought about what it was like before. On July 25th, 1990, any employer in this nation could deny employment based on the fact that an applicant had a disability without weighing that candidate against his or her competition on an even playing field. Most people would have thought that the Civil Rights Act of 1964 took care of discrimination at that level for everyone, but it didn't. It wasn't until 26 years later, on July 26th of 1990 that our federal government made discrimination based on disability illegal. In order to even the playing field, the ADA requires employers to make reasonable accommodations that employees with disabilities utilize to complete the essential functions of their jobs, matching their strengths and adaptability against their co-workers. But the ADA didn't stop there, it put regulations and guidelines in place to open doors throughout the public sector of our communities. 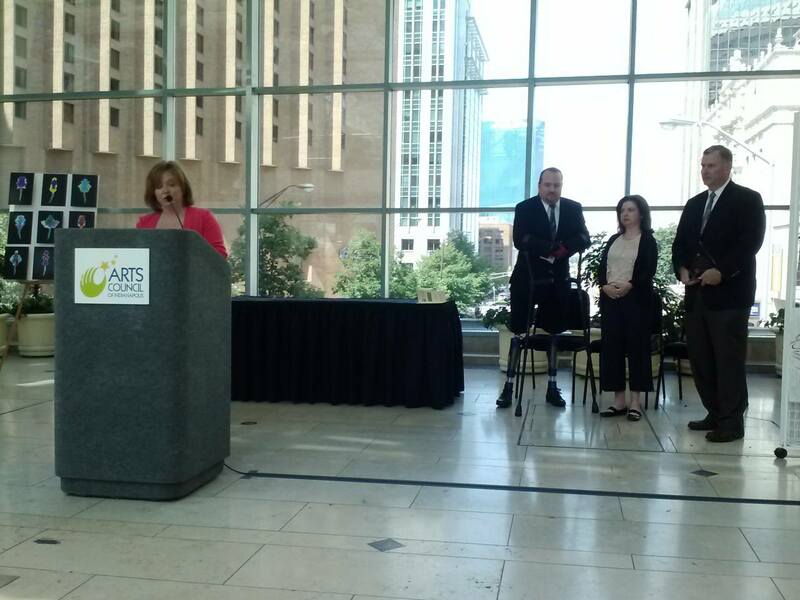 It is a moment in history that should be celebrated, and each year on, or as close as possible to, the anniversary date the Indianapolis Mayor's Office hosts the Access & Inclusion Awards. Each Award recognizes an organization or individual for their actions in supporting and promoting the principles of the ADA. There are four awards, the Employer Award, the Accessibility Award, the Exceptional City Service Award, and the James Pauley Lifetime Service Award. The Events Sub-Committee of the Mayor's Advisory Council on Disability works hard to present this event (which they did flawlessly once again this year...many thanks!) each year, and as Chairperson for the MACD, I have to be the Master of Ceremonies. 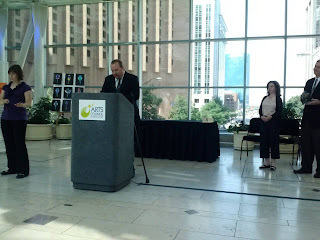 This was my first year as Chair, and I knew that I'd have to say a few words at the event, but apparently I had not paid close enough attention to the order of things over the last several years. I didn't just need to say a few words, I was on my feet for most of the event! I had to get it started, keep it moving, and wrap it all up in a nice little bow! Now, the Executive Committee made certain that I was aware of my level of involvement a few weeks ago...but just because I knew what was coming doesn't mean that I was really prepared for it on a physical or mental level. Most of what I had intended to say was thrown out the window before we even started, and for some reason it didn't even phase me that I'd be sharing the stage with the Mayor throughout the event...until I was driving home. All of a sudden this thought ran through my head: "You, a pseudo self employed so-called "motivational speaker" who is really just a hotel manager who lost his legs in a bad car accident, just spent the morning facilitating an awards program for the Mayor of Indianapolis...the city's highest official...whom you sat next to, stood next to, and even carried on a semi-intelligent conversation with...and you're just now realizing how special that is." 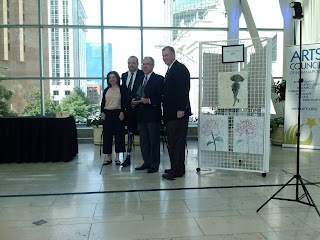 Now, part of the reason that I wasn't thinking about those things was because my dad was being presented with the most prestigious of the Mayor's Awards, the James Pauley Lifetime Service Award. Being the Chair of the MACD, and the Master of Ceremonies for the event, put me in an interesting situation. One that allowed me to put my sister on the spot. :) I was already so involved in the program that we felt it was best to have someone else introduce Dad. I knew that Sarah was worried about speaking to a large crowd, but her introduction of our dad was beautiful and emotional. As I understand it, several people were in tears by the end. Dad was nominated, and chosen by the Executive Committee (I abstained from voting on this particular award) of the MACD, for this award in recognition of his 42 years of service to countless children with disabilities, their families, and those who educate them within Indianapolis Public Schools. 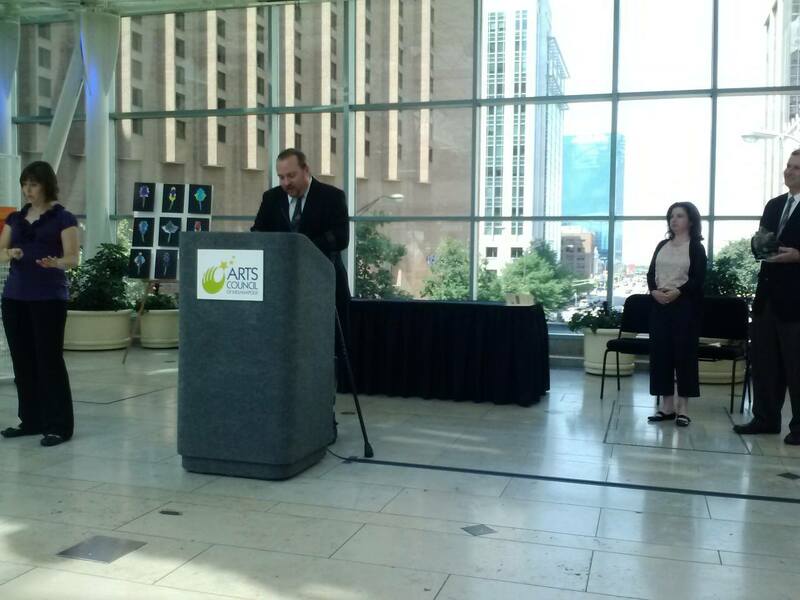 He began his career with IPS as a Speech Language Pathologist in 1971. Long before the ADA, two years before Section 504 of the Rehabilitation Act of 1973 would legislate that public schools had to accommodate children with disabilities (a piece of legislation that would not be implemented until 1977), my father was working with children with special needs. It astounds me to think of how education for children with disabilities has changed throughout Dad's career. When he began, there wasn't even a law that required local governments to provide education for children with special needs. Then after the law was finally implemented, these children were put into classrooms in the basements of school buildings, as far from the general education population as possible. Now, most students are educated in fully inclusive classrooms, and the goal is to get each student (whether they have disabilities or not) into the best program for their individual style of learning. For most children in a public education setting in Indianapolis, disability awareness begins at an early age because children with special needs are not isolated from their peers. Dad has been a part of the team that has put those programs in place in Indianapolis and has been instrumental in implementing that change from the very beginning. 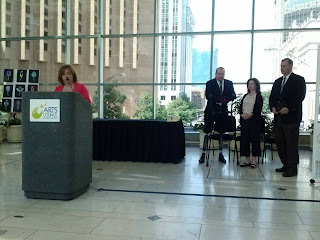 I only wish that we could have recognized all of the members of the IPS Special Education Department, past and present. My one regret of the day...that we didn't ask the Mayor to be in a picture with the entire family. 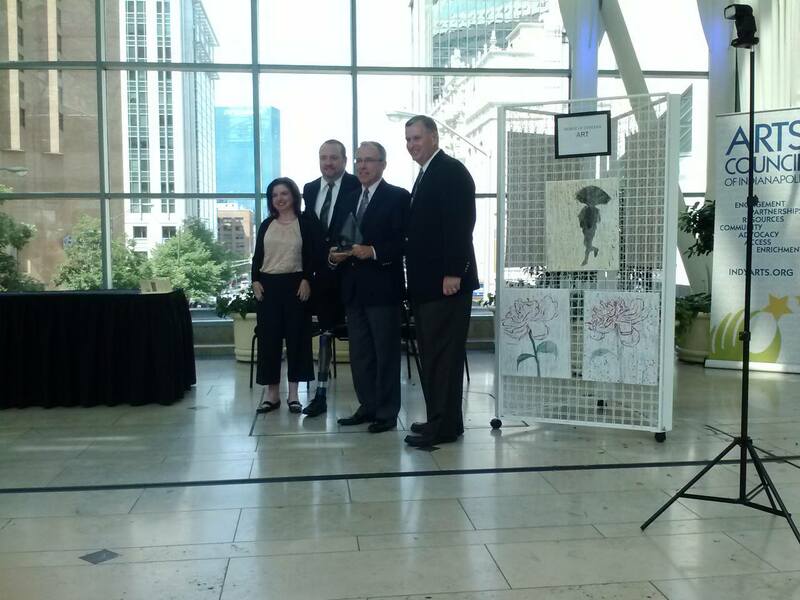 (The picture above shows Dad with his Award, Mayor Ballard is on his left, I'm on his right, and Juli Paini - Director of the Office of Disability Affairs, is next to me). The Mayor is such an approachable person that I'm sure he would've been happy to stand with Mom, Sarah, Madeline, Dad and I for a picture, but I think the family was more focused on getting downstairs to PF Chang's for a celebratory lunch!